Purchasing a property off-the-plan is both exciting and nerve-wracking at the same time. It can be the most suitable option for first home buyers who can take advantage of the generous government grant and for those buyers that need that extra bit of time to get their finances in order. 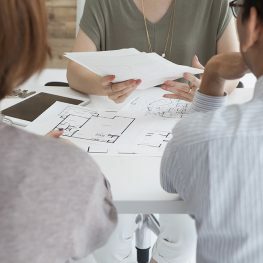 Here is a list of a few things to consider before you buy off the plan. It is important to do your research into the location so you know you are buying property in the right area. Consider things like demographics, economics, government housing, amenities, other developments, and the population grown. A good tip is to get in quick. When it comes to selling properties off the plan the first and best properties usually go to those who are quick to act. Make sure you give your contact details to the agency and keep in contact with them letting them know you are interested. Research the development team who is delivering the project. What experience does the developer, builder, architect and sales agency have? Look into their recent projects and read reviews from people who have had personal experiences with them. 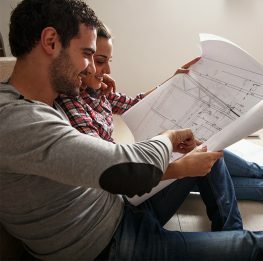 Buying off the plan can be one of the easiest ways for first home buyers to get into the property market. Most developments only require small percentage deposit upfront and can pay the balance of the purchase price at settlement, after construction is complete. 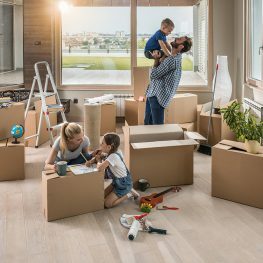 Savvy buyers can use this time to save towards moving costs and furniture. Lock in a price as soon as possible. One of the main advantages of buying off the plan is that you are able to pay the current market price for a property, even though it is yet to be completed. This can be positively impact buyers if the property market experiences growth over that time and can potentially become a savvy investment. Make sure to ask questions to determine what is covered as part of the purchase price. For example, for an apartment or townhouse – floor coverings, specific fittings, paint and decorations may come at an additional price. Make sure to carefully review your contract with a legal professional. Take special note of things like the completion date, if you are able to make changes to the finishes and fixtures, what happens if the developers run into financial problems and what will happen to your deposit, and what happens if faults are recognised after completion.